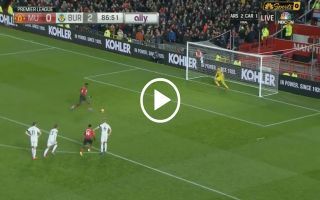 Manchester United got the goal they’d been waiting for in the 87th minute of their clash against Burnley this evening, when Paul Pogba converted from the spot. Just three minutes after some controversy over a potential penalty for United, the Red Devils finally got their chance from the spot when Burnley midfielder Jeff Hendrick tugged at Jesse Lingard. It was a silly decision and it has cost Sean Dyche’s men three points tonight. Pogba stepped up confidently and blasted the ball into the top corner, there was absolutely no way that the keeper was saving this rocket. United may have learned that they aren’t invincible tonight, they need to learn some important lessons after tonight. Some of the defending this evening wasn’t acceptable and they lacked spark for periods within the match.